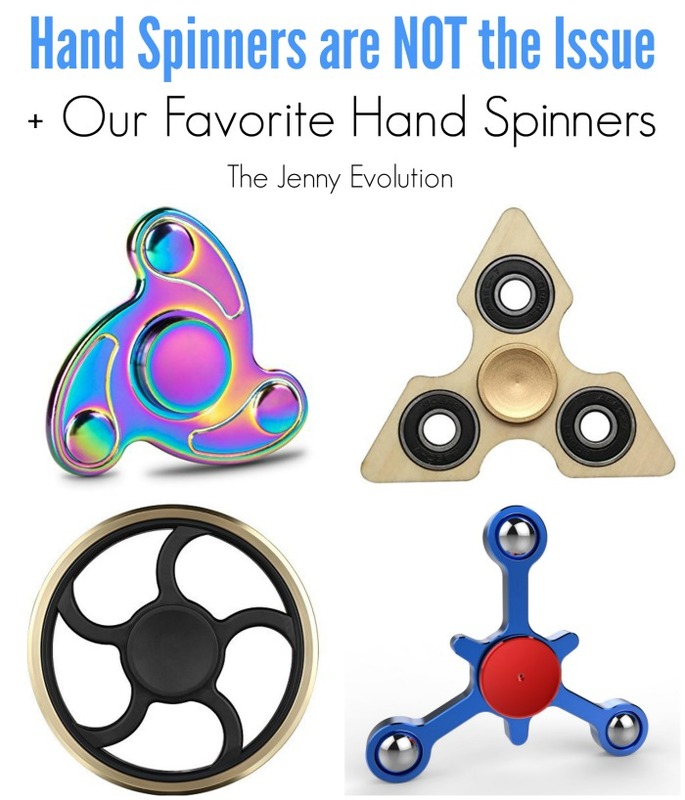 Look, there’s a lot of hand spinners out there. Some more expensive than others, right? 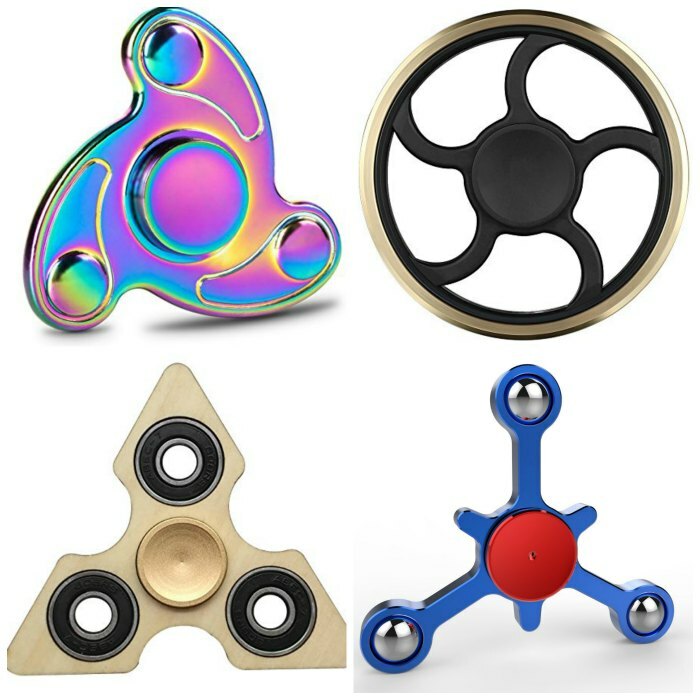 But at the end of the day, despite the fad, these hand spinner fidgets are going to stick around because they really are a good fidget for kids who need to do something with their hands. Fidgeting helps a lot of kids with ADHD and other sensory issues to be able to expel their extra energy, which actually helps them focus on the task at hand (which is often school). It may seem counterintuitive, but giving kids an outlet can actually help them be better students. This post contains affiliate links. Rather than throwing out the baby with the bathwater, let’s accept the fact that this is just an additional sensory tool fidget kids to use. Yes, tools can be distracting. In my sons’ classroom there are kids with yoga balls for seats, tennis ball foot fidgets and goodness knows what else. The simple fact is my kids are okay with these additional tools in the classroom as well as their teachers because it helps the student without becoming a distraction for the others. Teachers manage these kind of challenges (many with quite capably) all the time. From twirling pens to playing with rubber bands, kids who need to fidget will fidget. My husband has the whole twirling pen thing down to an absolute science. Do you think he didn’t do this all the time while in class? I’m sure he did when he was a kid — and it was an important outlet that allowed him to center his focus and end up paying better attention to what was being said around him. Ultimately, finding the right tools that work for the child as well as the class is what’s important. My boys are no different than the rest of America — they are going gaga for hand spinners. My eight year old saved up his money to buy a more expensive metal spinner and he couldn’t be happier. As with all things, I have a feeling the excitement of this spinner will wax and wane. It will be used heavily this month, put away for a month and then come out full force again. That’s often how fidgets work in our house. After doing our homework, watching a lot of YouTube videos and purchasing some of our spinners, we’ve put together a list of our most desired hand spinners. Opard Tri Fidget Spinner Hand Spinning Toy: This hand spinner is the one my son saved up for…. besides looking unbelievably cool, we really love the heavier feel of it in our hands and the metallic spinning sound it makes (not loud, but loud enough to be heard). My son loves the specialty coloring but you can also find them in a number of colors here. Focus Toys Tri-Spinner Triangle Hand Spinner: First, this spinner is wood, which is quite cool. It’s actually quite light and just a light spin will get this thing moving. 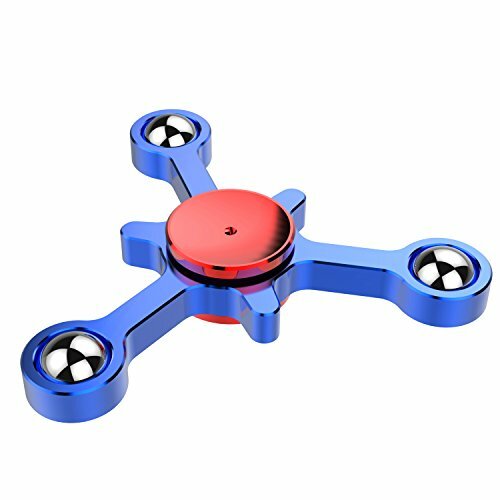 Mothca Fidget Hand Spinner: Unlike the metal spinner my son bought, this one is crazy silent. Also, my boys love the uniqueness of the wheel design. Fidget Spinner Hand Toy by Komvox: This seems to spin the longest of any of the hand spinners. You’ll see spinners claiming to go for up to 3 minutes but that isn’t necessarily true in the real world. But this one definitely went that long! 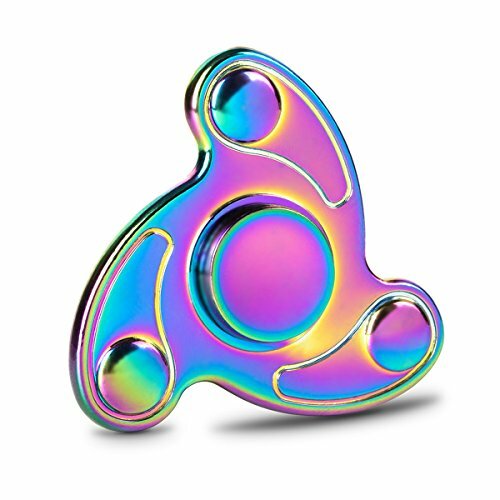 Findbest Tri-Spinner Fidget Toy EDC Focus Toy: While this spinner does come in different colors, my boys are all about the glow in the dark one. Leave it under a lamp for 30 minutes to really get a good glow. And we also love this spinner because of the price — below a lot of other options out there without getting gouged on the shipping price either. 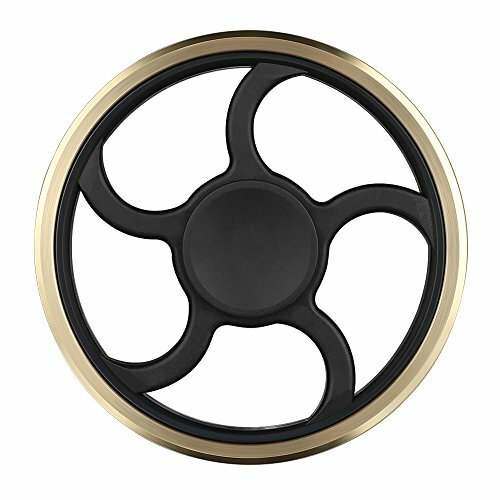 If you find a cheaper price (and cheaper shipping) on a hand spinner, just be aware that it may literally be coming on a slow boat from China and you will be waiting weeks to get it. I had never heard of these! I honestly think I could use it. I have a bad habit of picking at my nails.